I am an absolute fan of a good margarita. You might even say I’m a margarita connoisseur. Yes, it’s that deep. Please do not put a sad margarita in front of me or you will most definitely get the side-eye. I am not of fan of the margarita mixes or triple sec for that matter. I love fresh ingredients and natural sweeteners and tequila. That’s it! The other day I was back in the test kitchen creating a couple cocktails for National Margarita Day, and came up with some major winners! The first was a Honey Sage Margarita. I love the smell of Sage. It’s just wonderful. I was in the farmers market and spotted the bunches of sage looking so vibrant, begging for me to take them home with me. So I did. 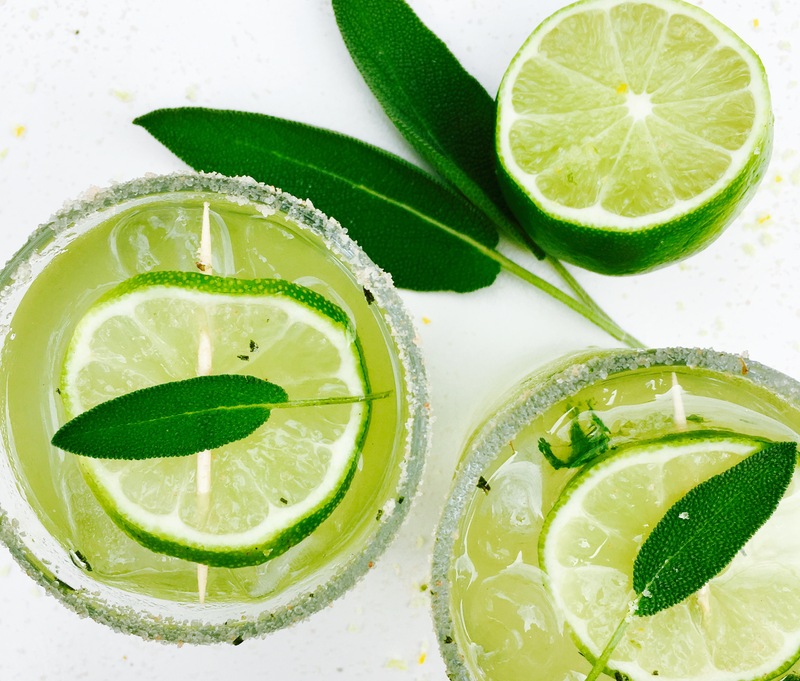 The star of this margarita is definitely sage. Before you take a sip, you get a nice whiff of it. Mmmmmm. Next is an herb that I also enjoyed in my cocktail, thyme. It too has a very nice fragrance. I paired it with hibiscus because I thought it would make a very nice combination. And it did! It is so tasty! Both recipes are below, so give them a try! -Muddle sage leaves, lime juice, and honey in shaker. -Pour in glass with salted rim. -Garnish with lime and sage leaf. -Bring all ingredients to a boil. -Reduce heat to low and let simmer for 10 minutes. 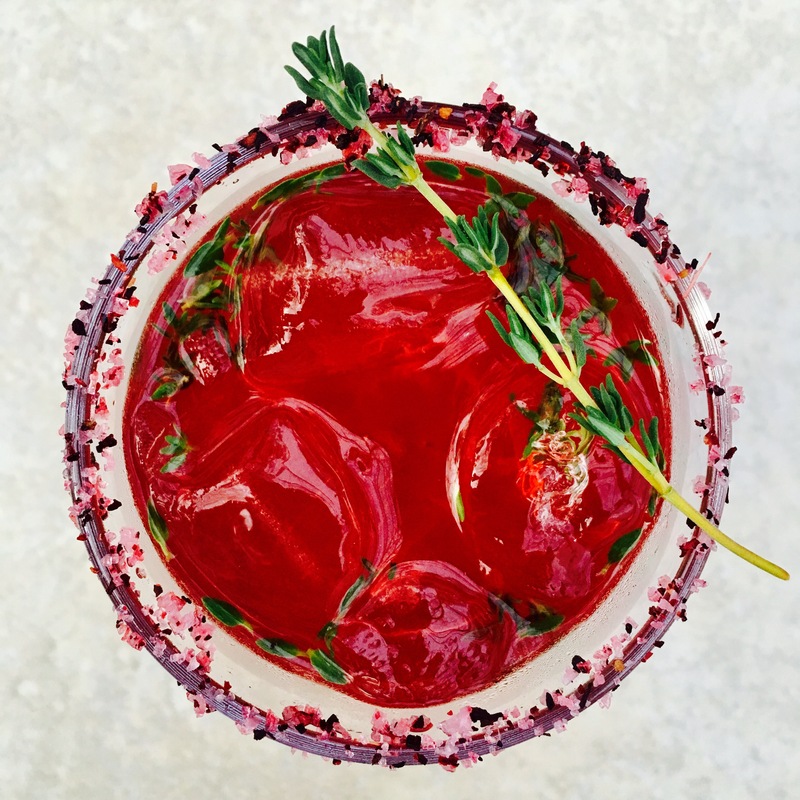 -Remove Thyme leaves from sprigs and muddle with lime juice, hibiscus simple syrup, and honey in shaker.